Written by Sam Webster on 10 May 2015 . The results from the 2015 Try-a-Tri event are available. Download the results in pdf format here. Written by Janice Coyle on 05 May 2015 . More photos from the 2015 Try-a-Tri are available on The Cardiff Triathletes Flickr account. Feel free to download full resolution photos for personal use, and print them out. See the photo collection on Flickr, here. Written by Sam Webster on 03 May 2015 . Rainy photos from the 2015 Try-a-Tri are available on Flickr. Feel free to download full resolution photos for personal use, and print them out. Written by Sam Webster on 22 April 2015 . The race pack for this year's Try a Tri race is now available to download from the link below and from the races page. Written by Sam Webster on 09 March 2015 . 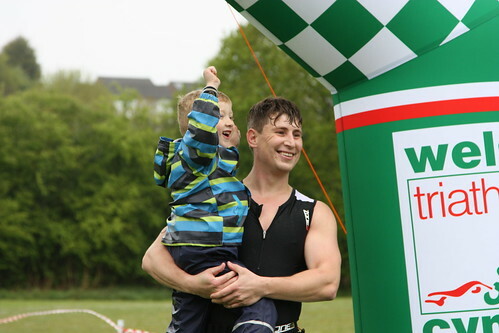 The online entry system for Try a Tri (Cardiff) 2015 will go live at www.entrycentral.com on Monday 16 March 2015 at 19:00 (7:00 pm). The entry fee will be £32, with a £3 discount for members of Welsh Triathlon / British Triathlon. Further details on the race are available in the 2014 race pack, which is on the race page of this website. Please note we are expecting to sell out this event very quickly. With best wishes and we look forward to meeting you on the day. Written by Janice Coyle on 29 September 2014 .